Sooner or later it happens to all of us — some ailment or ache or concern prompts us to make an appointment to seek medical attention. For those who have medical insurance and a family doctor, this is a no-brainer decision. However, for those who are uninsured or underinsured, the decision about where to seek medical attention is a bit more challenging. The options are not always as clear for the poor and the homeless. That’s why we are fortunate to have Christ Clinic in our community. Christ Clinic is the only Katy-based clinic that provides low-cost acute and chronic care for people without insurance. Our missions ministry has supported and invested in the work of Christ Clinic for several years. Kingsland member Dr. Cindy Anthis regularly volunteers her time at the clinic along with others from Kingsland. 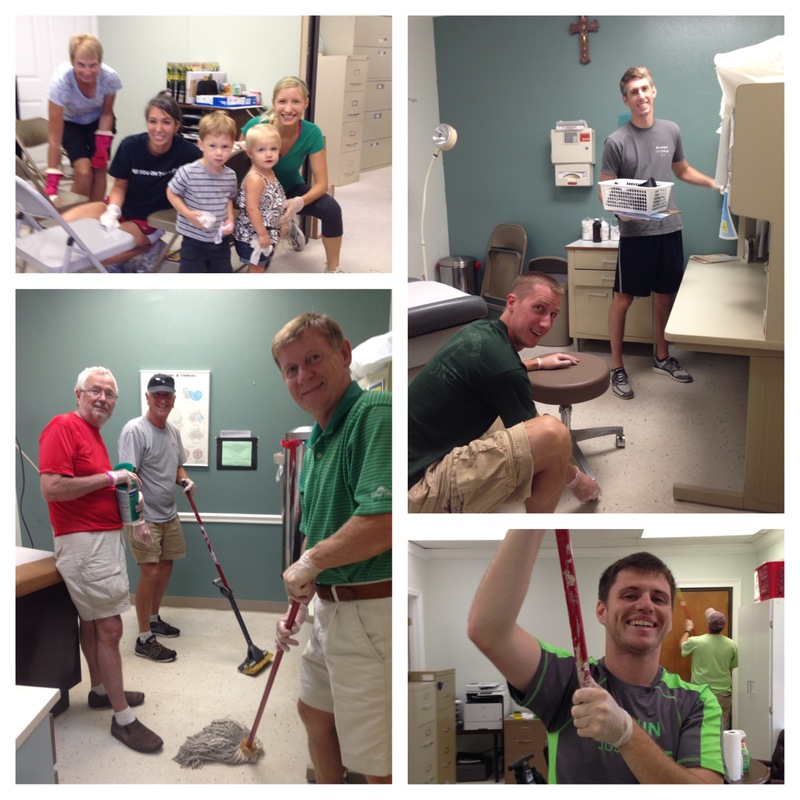 Our members have served at Christ Clinic during our annual Caring for Katy day and at other times throughout the year. This morning, an assortment of volunteers from the Grace Awakening and Insula Adult Bible Fellowship groups and several girls from our student ministry served at Christ Clinic. Our assignment was to do a deep and thorough cleaning of the entire facility. Our team did a great job this morning. We cleaned every room from floor to ceiling. We mopped and scrubbed and dusted. We moved every piece of furniture to clean under and behind and around. We wiped down furniture and shampooed carpets. 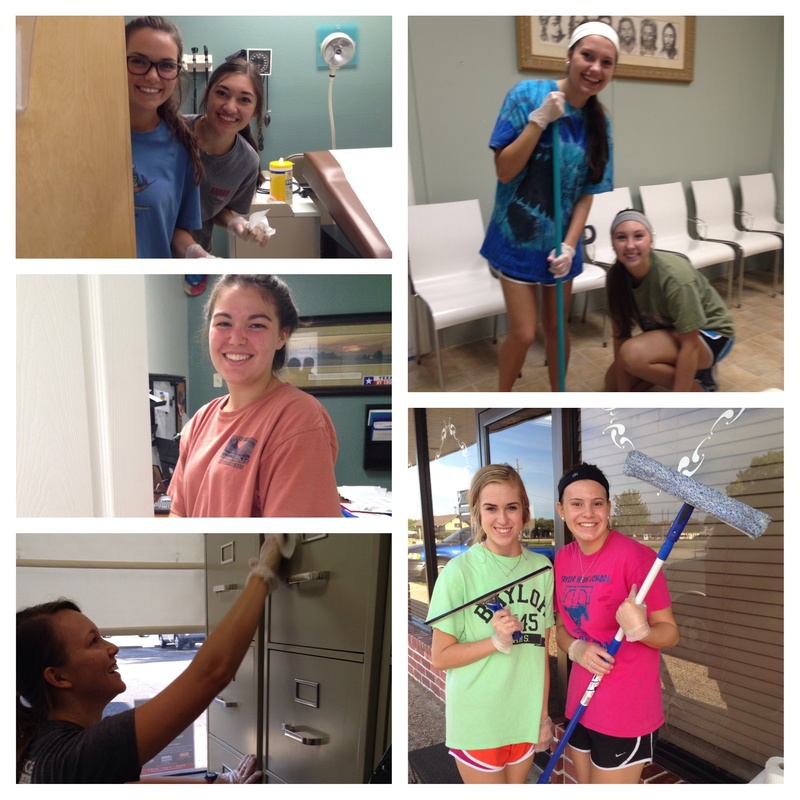 We squeegeed windows and cleaned every door. Some stood on ladders to reach high places while others dropped to their knees to scrub baseboards and floors. By the time we were finished the entire clinic looked and smelled great. My friend Kara Hill, the director of Christ Clinic, stopped by to personally thank our team. 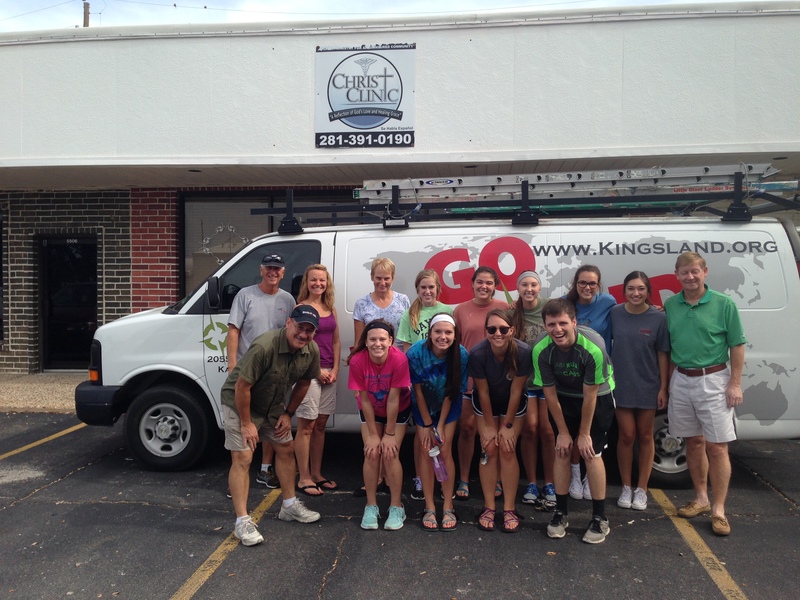 I am grateful for Kara and her staff and the service they provide our community in the name of Jesus. The clinic is open five days a week and is usually packed with people in need of help. The staff at the clinic also compassionately care for any homeless folks in our area in need of medical attention. We are fortunate to have Christ Clinic in our community. I’m happy that we could serve and bless them today.